Christmas is my favourite holiday! I could live on oatmeal. I eat it every morning for breakfast. I drink two to four cups of tea every day. Gotta love those antioxidants! I get easily distracted by glitter and gold! I think golden retriever puppies are ADORABLE! Love feminine style, especially when it involves the colour mint! Hello and thanks so much for stopping by to visit Haute & Healthy Living! I’m Elysia, a Registered Dietitian, recipe developer, food photographer, fitness fanatic, and lover of all things stylish and pretty! I absolutely love cooking up healthy food that also happens to taste delicious, and then styling and taking pretty pictures of it afterwards! So you might be wondering…why did you decide to start up Haute & Healthy Living anyways? Well. I mostly decided to start up this little blog of mine as a creative outlet to share my love for healthy food, while also incorporating my passion for interior design, fashion and beauty! You see, back in my university days, I thought that I was eating really healthy just because I happened to be studying nutrition. But it turns out that many of the foods that I was eating were packaged and processed, and eventually I started to see the effect on my body. Despite working out on a regular basis, my body just wasn’t looking or feeling the way that I wanted it to. I was carrying a few extra pounds and didn’t feel that great about myself. On top of that, I ended up suffering multiple injuries as a result of improper training at the gym, getting misdiagnosed with several medical conditions and feeling the worst I had ever felt in my life. I was seriously down in the dumps. At that point, I really started to analyze what I was eating and how I was working out. I gradually started cutting out the junk and focusing more on eating whole foods with minimal processed ingredients. I found a lot of joy in cooking up healthy recipes and sharing them with my family…and I especially loved when they actually tasted good! I’ve been addicted ever since! I also started doing a lot of research about fitness and began a solid strength training routine to gain back my strength after my injuries. Throughout this time, I was also doing my Masters in Nutrition, which was crazy busy! But I really believe that cleaning up my diet and strengthening my body empowered me both mentally and physically to get through that challenging year. Since then, I met Matt (the guy of my dreams and number one taste tester), we got engaged, and got a house together (which I’m attempting to decorate room by room). We both work full-time jobs and just recently had a baby, which has added some additional chaos to our lives, but I wouldn’t trade it for the world. Through this blog, I hope to share my experiences and help other busy moms balance motherhood with healthy living, style and grace. It takes some organization to live a healthy lifestyle, but it’s totally doable. Just start with the baby steps! 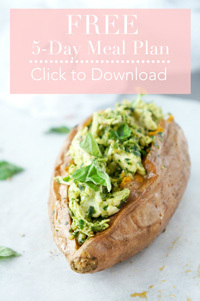 I hope this blog serves as an inspiration to you to get in the kitchen, whip up some healthy and delicious food, and start living the beautiful life that you deserve! 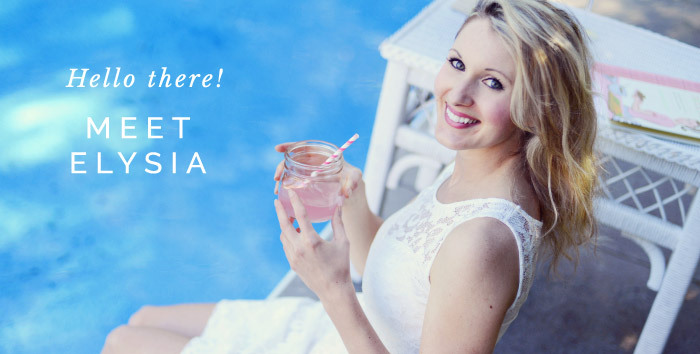 If you have any questions at all, please feel free to leave a comment, connect with me on Facebook, Twitter, or Instagram or email me at elysia@hauteandhealthyliving.com. I’ll do my best to get back to you as soon as possible! Also, don’t forget to sign up for my weekly newsletter to get my recipe, style and motherhood posts sent directly to your inbox!